Stay on top of your manufacturing inventory, stock movements, shipments, tracking of stock lots and serial numbers and much more. All transactions done in other areas directly influence the stock. Add stock items manually or import from CSV. Have your stock items associated with a part number, description, unit of measurement, selling price and storage location. Add attachments and see attached images and drawings. Follow the status of stock lots. See which items and parts are available in stock, which are booked for manufacturing, how much safety stock is available and which items are expected to arrive in the future. Track inventory items by lot number, serial number, expiration date, storage location and bin, or additionally add your custom parameters. Set minimum levels for stock items to avoid stock outs and cut down on shortages to have a healthy balance of assets on hand. Eliminate data entry duties by using a barcode scanner or download the MRPeasy app and scan via tablet or mobile. Assign barcodes to stock items or stock lots (batches). Print barcode labels and identify items from different stock lots (batches). 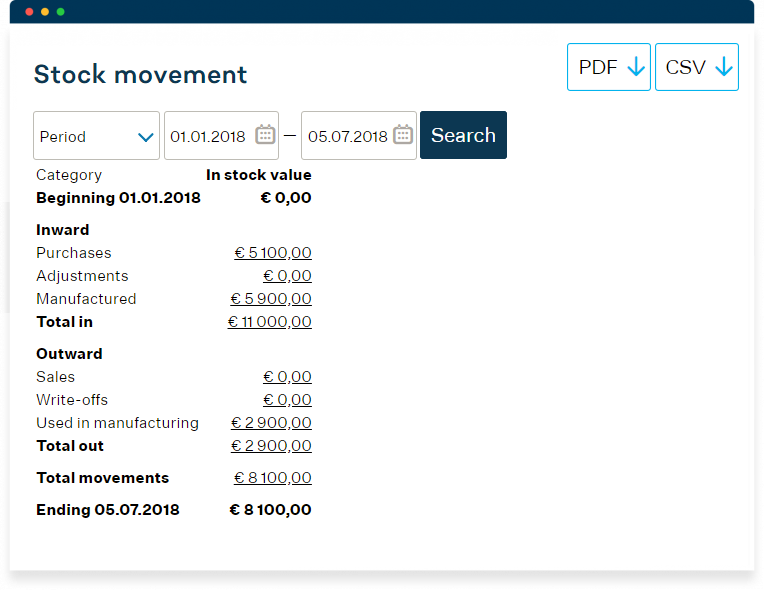 Have your stock automatically updated when sales, purchasing and production managers, and other team members, perform their duties. 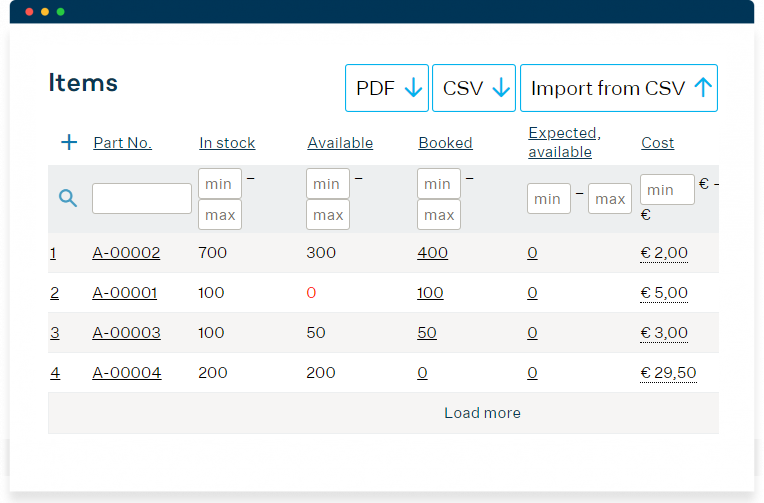 Allow sales to automatically calculate production cost and lead times and send a pre-filled quote. MRPeasy can do the calculations, since the material and parts planning is done in the same tool. Let the production manager automatically book the necessary items in stock and immediately raise pre-filled POs for purchased items. 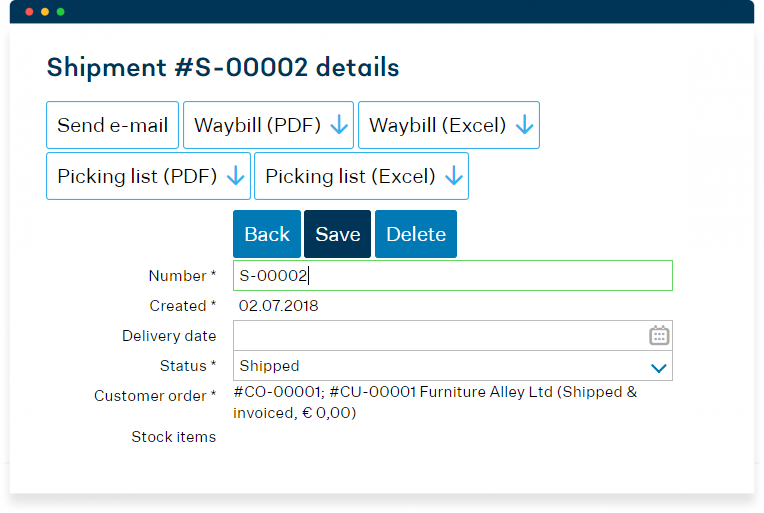 Since stocking and purchasing are connected, the purchasing manager can use the purchasing dashboard to follow the current demand, send pre-filled POs to vendors and report when the items arrive. When planning a new shipment, just click “Create a new shipment,” enter the requested quantity, delivery date and address. Stay on top of your finished and shipped products with serial number tracking and batch tracking. Let MRPeasy automatically create pre-filled waybills and picking lists. Let the stock clerk use MRPeasy to access the picking list and report when items are off the shelf. Track items in multiple warehouses and transfer them from one to another when needed. Make quality inspections and work only with quality control passed parts. Stay on top of your returned goods with an advanced RMA system. MRPeasy is simple yet powerful inventory software for manufacturing that helps small manufacturers organize production. Just sign up to test MRPeasy, select the features plan that meets your requirements and access additional functionality as you grow your business.